Currently still in Italy taking in the last moments of this beautiful country with friends. I will leave you with some plaid for the weekend. Follow along the rest of my adventures on instagram here. Natali - Absolutely amazing boyish outfit! You look so stylish! Elisa - Amazing outfit ! Love your top ! 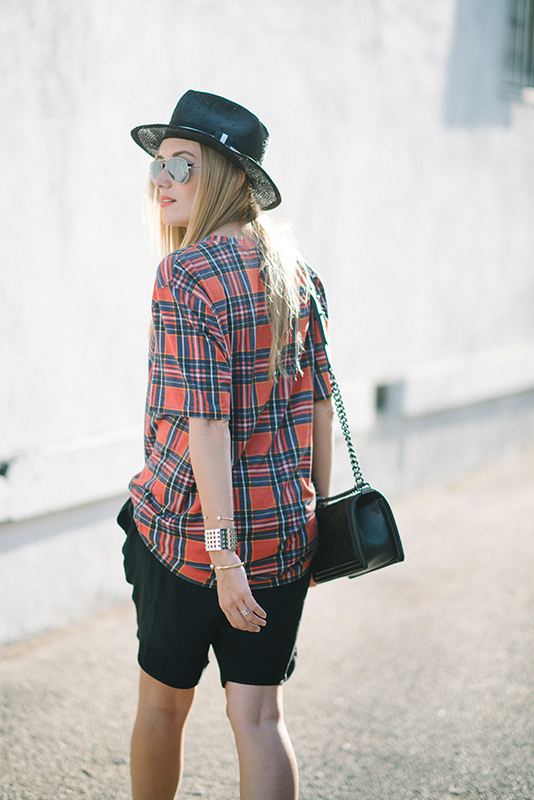 Eye Like Fashion - Laid back cool in this plaid! Sasha - Really cool look! Plaid is such a cool print! María José Martín - Funny!!!. Greetings from Seville (Spain). Mimi - Love your outfit. Plaid looks great on you! Fashion Snag - Cute look! Jenny - Love the top! Joyce - I love this style , it’s so cool. laura mitbrodt - I love your plaid top!! Sofia - What a great look to wear on the weekends. I am loving this plaid trend. Hope you had a wonderful weekend.